Uniform are common majority for most of the companies in business like F&B, Entertainment, Events, FMCG, Retails, Service line etc. To be more presentable and smart looking, uniform body line requirement is getting higher and higher. This is because of the image of a staff that represent the company, thus we are higher take it serious on the shape and quality of a custom made uniform to produce. As for the uniform, the major would be Polo Tees as casual and formal wear in both. 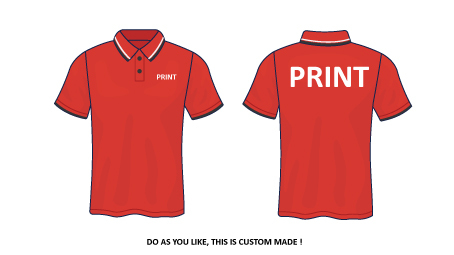 Polo Tees is comfort to wear, smart looking and showing more maturity personalize, thus most of the companies select polo-t as uniform clothing. 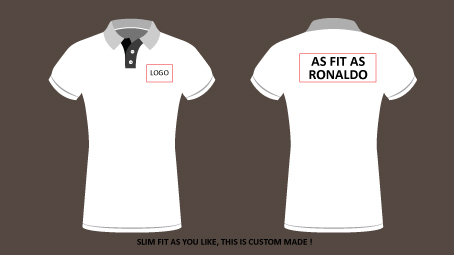 Polo T can either doing printing or neither embroidery work for logo or lettering. For more durable, common are going with embroidery work. 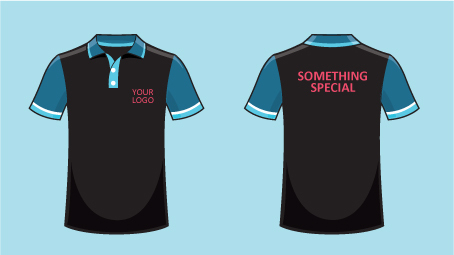 As custom made polo t uniform, we allow for color matching as you like, or selected ready polo tee to proceed add on logo or wording, of course there are cost and time frame differential in between. Out of Polo Tee as uniform, F1 Shirt Type of Uniform is also as hot as polo tee, its a revolution type of uniform from polo tee. 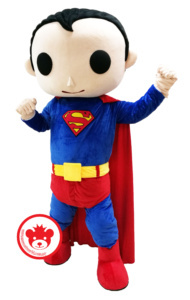 The cost is slightly higher but it is more colorful match, badges on and body shape outstanding wear. 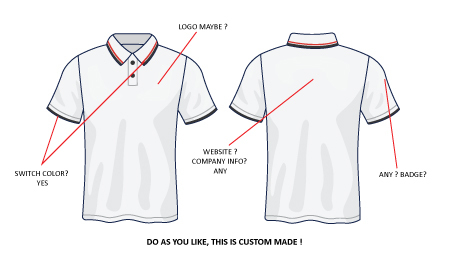 Collar Polo Tee or F1 Uniform are more in sizing and stitching work. First will be styled and sizing, and then to choose the fabric and color. Common use are Lacoste 20s and 32s fabrics, the difference between the two options is Lacoste 20s is slightly lighter and thinner than the 32s which makes it ideal for warmer climates. Then we came to printing and embroidery work for the finishing for the uniform. 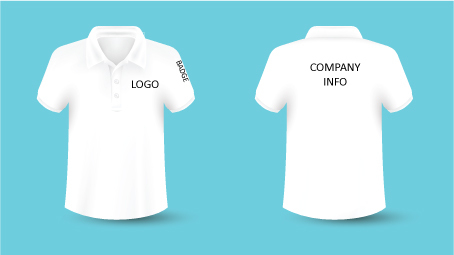 We will need to your digital graphics files in either PDF, Higher Resolution JPG, PNG, or AI file formats to print or programmed embroider on to your shirts or uniform. When we received your files, we will ensure that they are “set to scale”. This is mean to make and saved your file with the exact dimensions which you want it to show on your shirt. The MOQ for custom made Uniform is only 50 pieces in mix sizes, this is making easy and lower the cost for major business owner. Above are recommended size chart reference for F1 uniform. 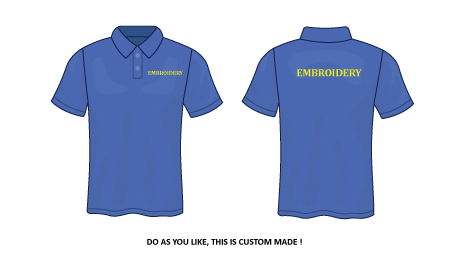 Contact us today for more details on custom made uniform, we will arrange for a sales person to meet up with you for more details of the process, and simplified all the work for the customize polo tee and uniform.